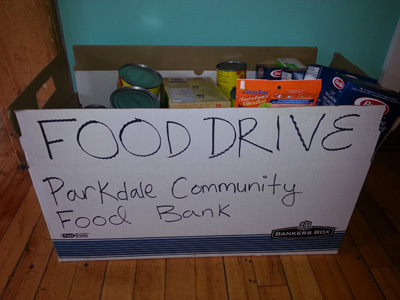 All collected items will be donated to the Parkdale Community Food Bank. The Food Bank, located close to Agility's headquarters, provides nutritional support to people who are unable to meet their dietary needs as a result of unemployment, disability or economic marginalization. The initial goal was set at 50 items, but today's count puts us at 70. Agility will continue to collect items for the Food Bank going forward and will drop off donations monthly.